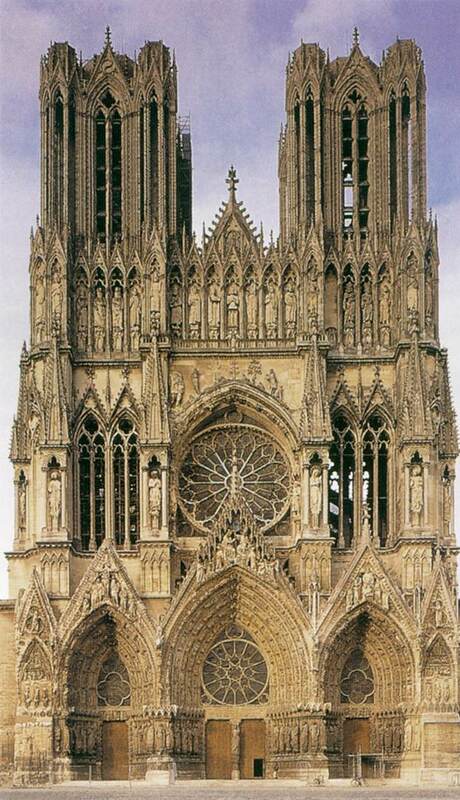 The present cathedral replaced two earlier ones, one dating from the 9th or 10th century and a second that was consecrated in 1179. 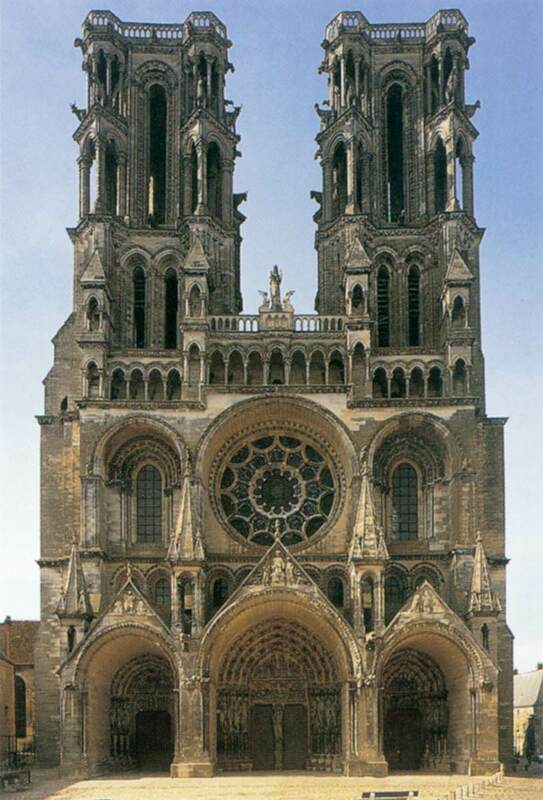 It was built during the first half of the 13th century and completed, with the exception of the façade, in the early 1270s in the early 1270s. 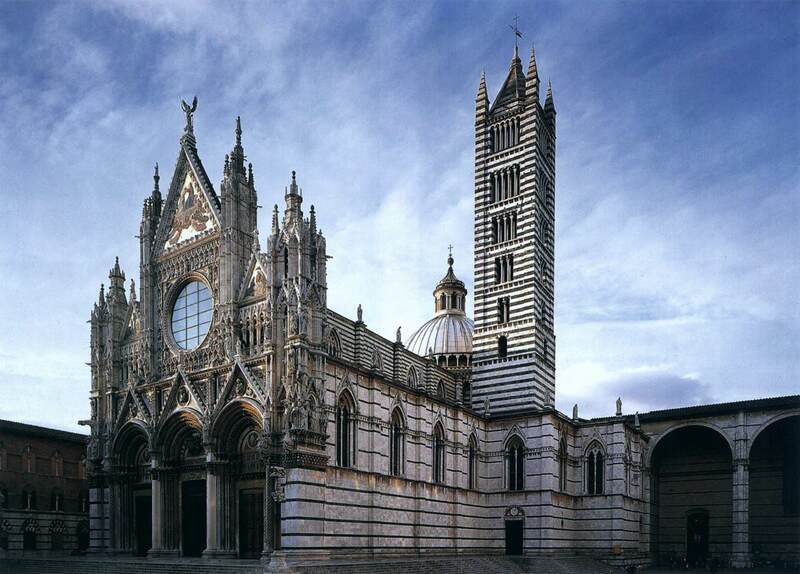 The cathedral is built with two colors of marble, white from Carrara and very dark green from Prato. The elaborate striping of much of the exterior and interior reveals the communal content of this monument in its reference to the black-and-white coat of arms of the Sienese commune. The lower half of the façade was designed by Giovanni Pisano. The bell tower dates from before 1215 and is the only surviving part of the earlier Cathedral dedicated in 1179. 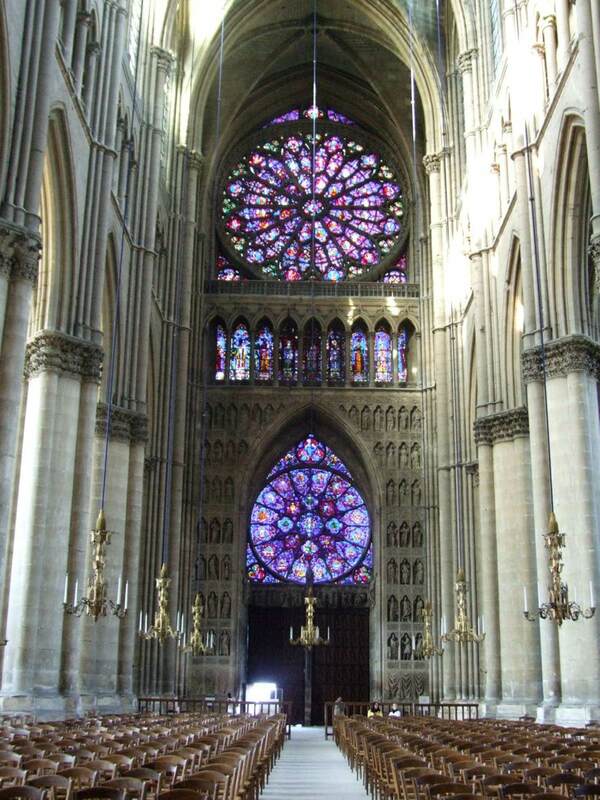 The interior shown in the picture was built during the first half of the 13th century and completed in the early 1270s. Unlike the brute stony strength of Florence’s Palazzo della Signoria, in Siena brick walls gently bend to embrace the amphitheatre-shaped Piazza del Campo which it faces. Thin marble columns supporting Gothic arches decorate the windows. 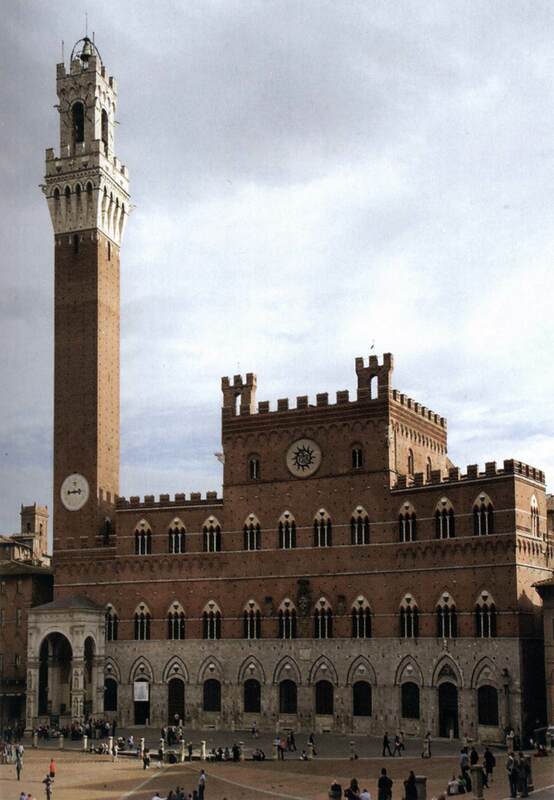 An astonishingly tall bell tower – clearly surpassing the height of the civic tower of their rival city Florence – extends from the left wing of the building. A later chapel beneath the tower extends out into the public square and indicates the fusion of Church and state in this city dedicated to the Virgin. 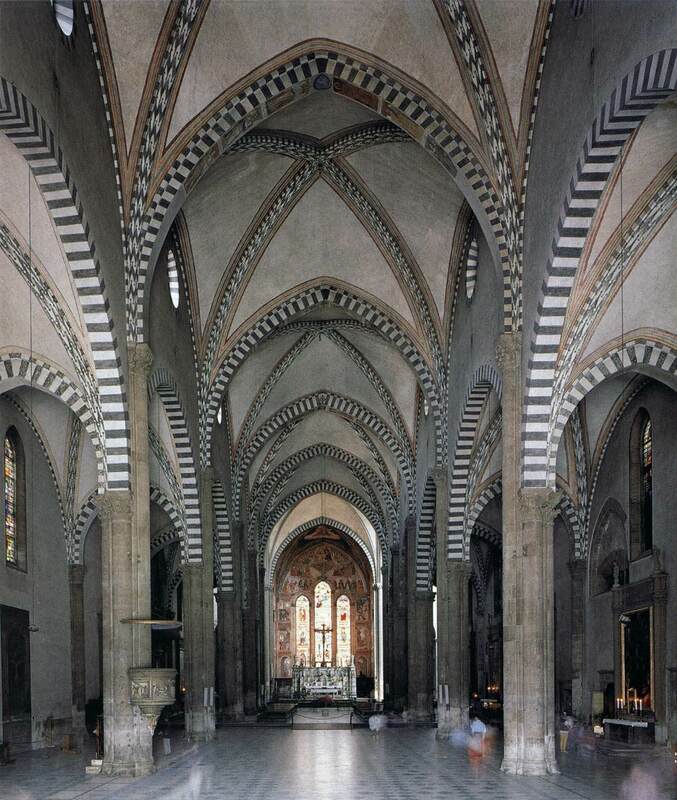 The very large church of the Santa Maria Novella was the first important and independent church in truly Italian style. 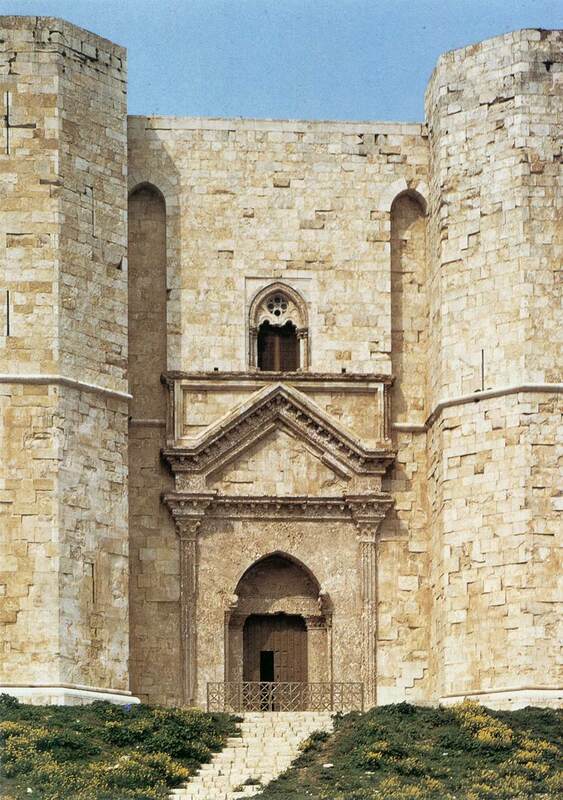 Its construction began in about 1246 for the Dominican Order. The exact dates of the various parts of the church are still controversial but it certainly took a very long time to build it. 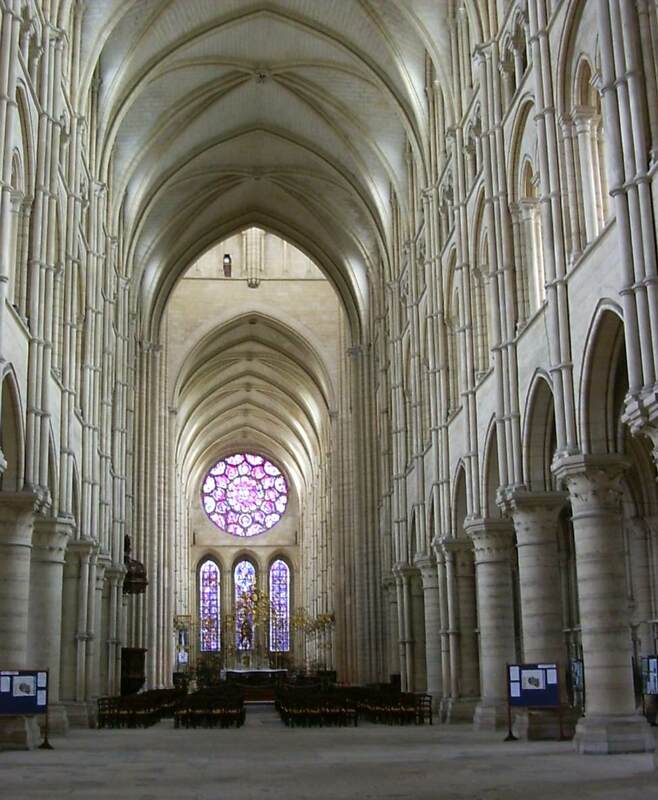 The nave was not begun until 1279, and the façade, began in 1310, was not finished until 1470. Nevertheless, the interior and the plan make it the most important church of its date. 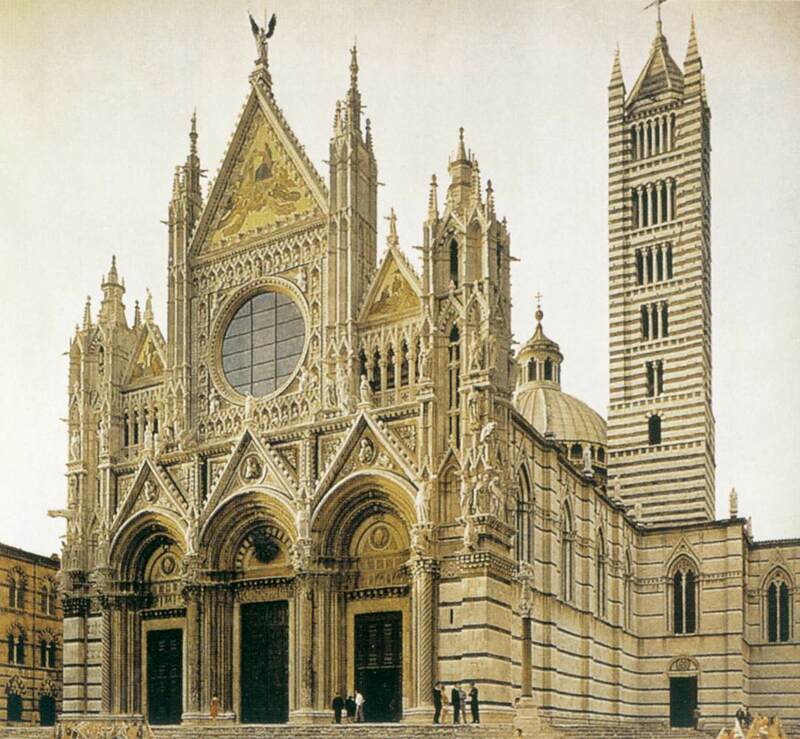 This church is perhaps the best example of the simplicity of plan, organization, and detail that characterizes Italian Gothic architecture. 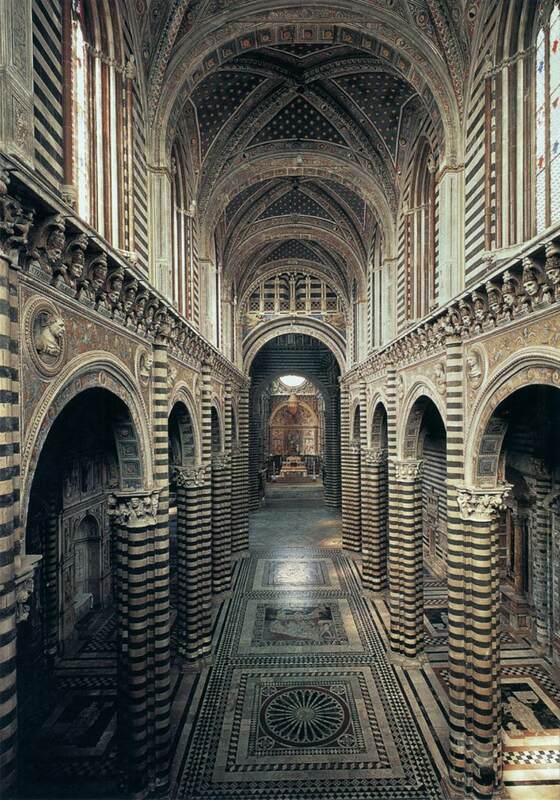 The relatively high side aisles are typically Italian. 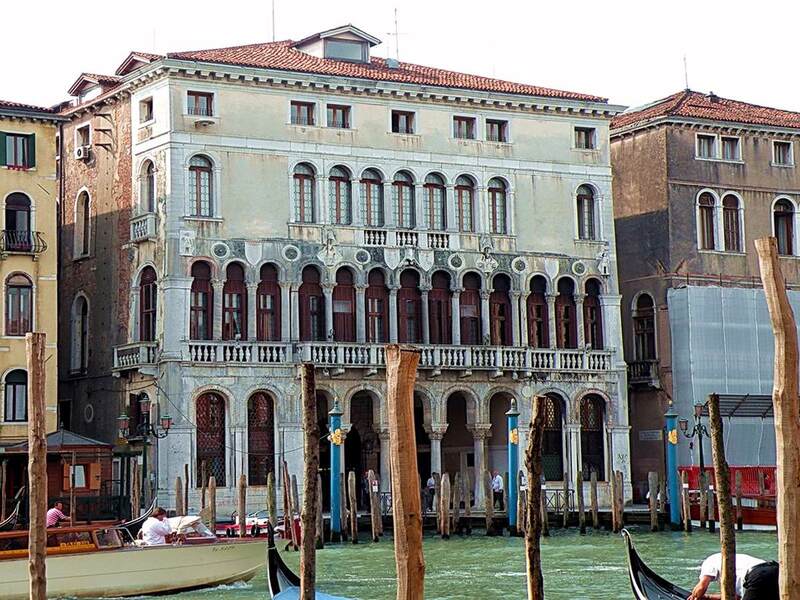 The Renaissance façade was designed by Leon Battista Alberti in the 1460s. 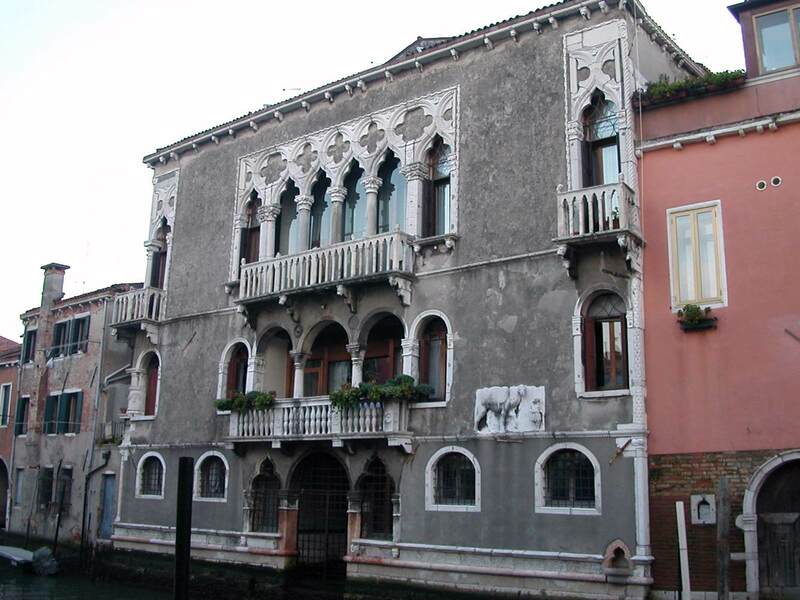 This palace in the Cannaregio district of Venice owes its name to a relief carving set into the wall of the façade representing a man in oriental dress riding a camel. 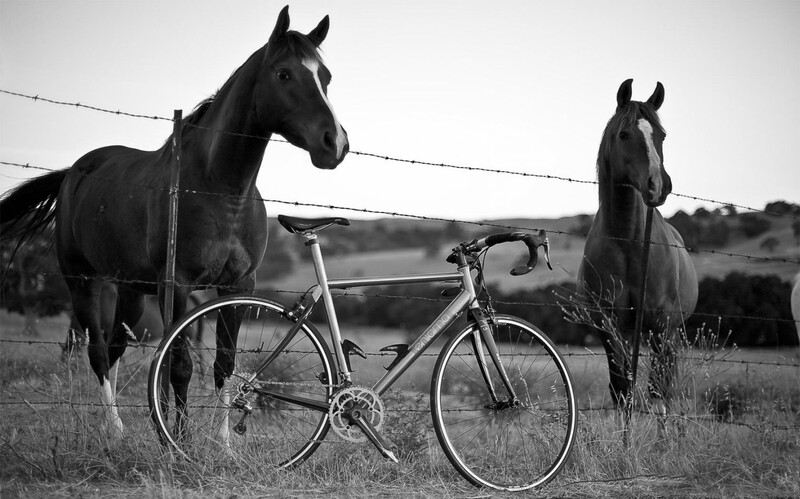 It is the symbol of the owners, the Mastelli family, who came from the Orient in the 12th century. 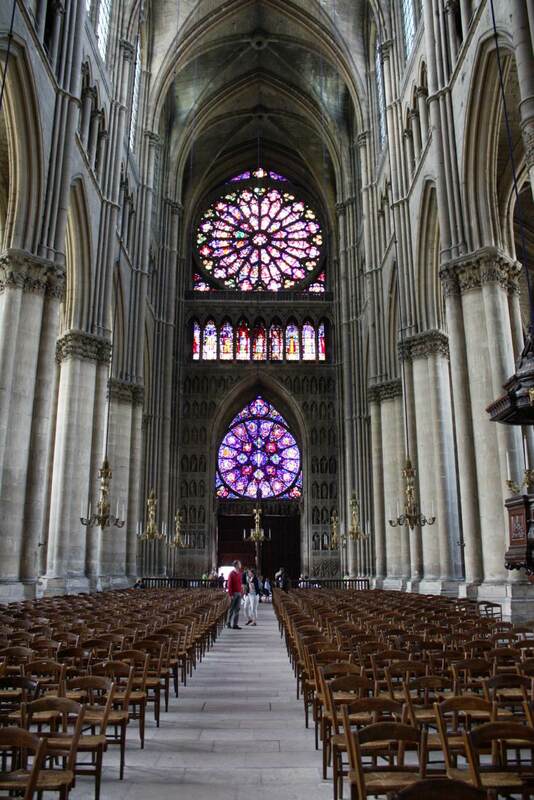 The most important features on the façade of the Gothic building are the ogival central gallery on the second floor, enriched with quatrefoils and a dentate frame, the corner two-lancet windows on the second floor, and a squat column, standing in the corner window on the first floor. The palace was rebuilt in the fifteenth and sixteenth centuries. 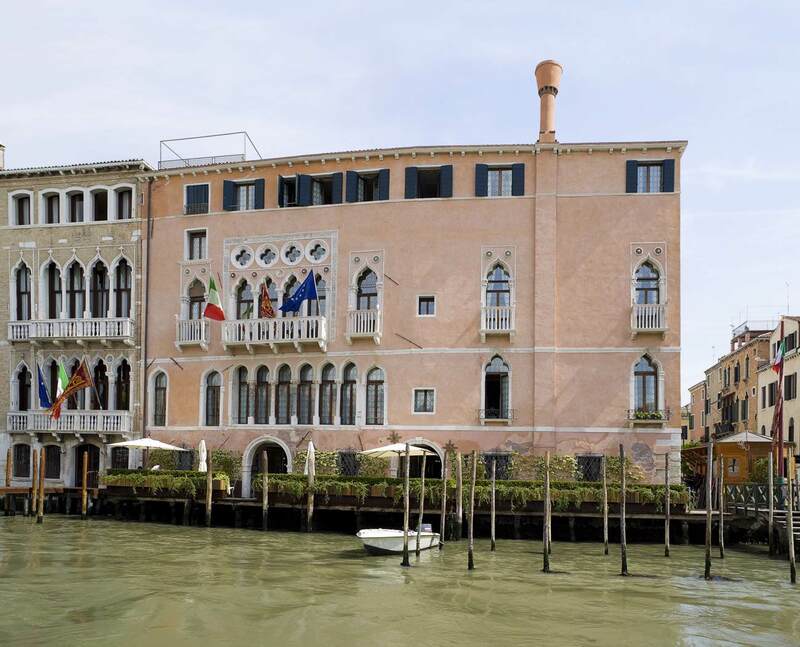 This palace located on the Canal Grande just after Rialto bridge is now the site of the Municipio di Venezia. 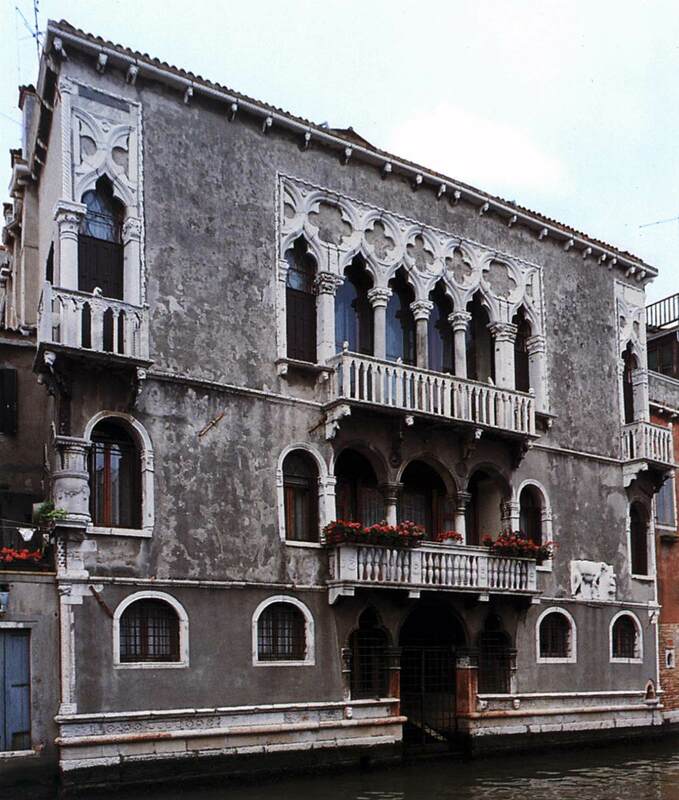 While representing a modification of the sixteenth-century building, it still followed the pattern of the Venetian-Byzantine house-storehouse. 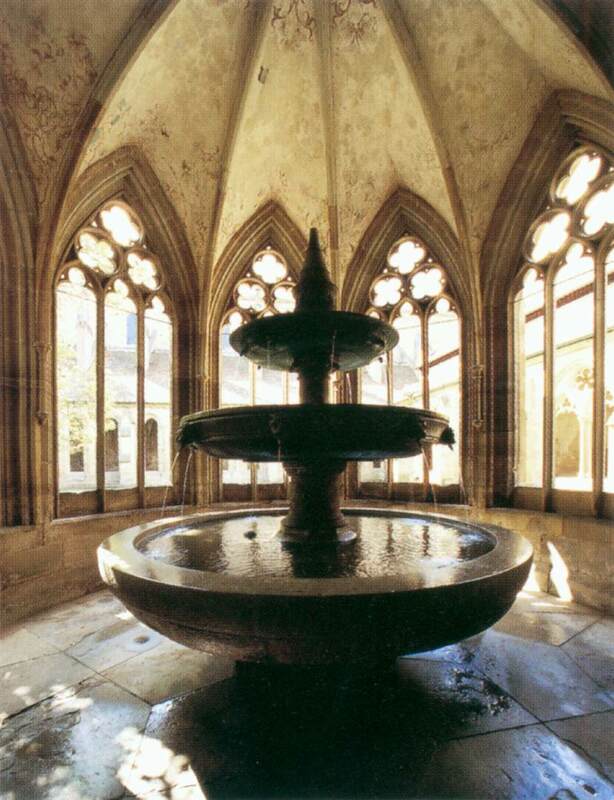 Architectural and decorative elements, such as the five-arch loggia directly over the water, and, on the main floor, the façade completely covered by the many-lancet window with round arches on pilasters mean that the architecture is undoubtedly inspired by the thirteenth-century model. This palace was constructed between the 12th and 14th centuries. The four-lancet window on the upper floor is remarkable, framed by an elaborate frieze and adorned with polychrome patera made in precious marbles. The façade was decorated with frescoes. The interior was modernized in the 18th century and richly decorated. Castel del Monte (Italian for “Castle of the Mountain”) is a 13th-century citadel and castle situated in Andria in the Apulia region of southeast Italy. It stands on a promontory, where it was constructed during the 1240s by the Emperor Frederick II, who had inherited the lands from his mother Constance of Sicily. The picture shows the classical entrance in the otherwise purely Gothic castle of Frederick II. 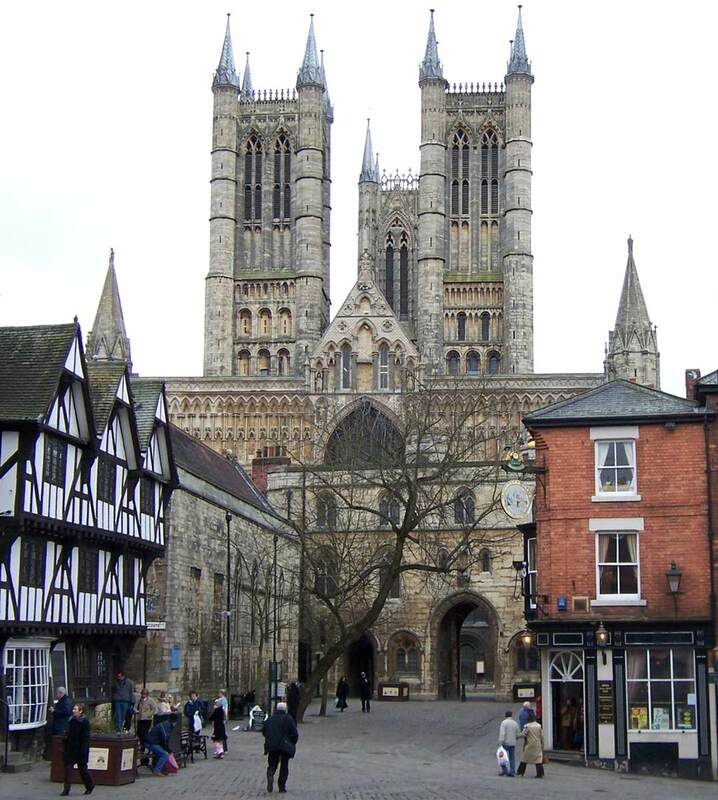 Lincoln Cathedral is a historic cathedral located in Lincoln in England and seat of the Bishop of Lincoln in the Church of England. 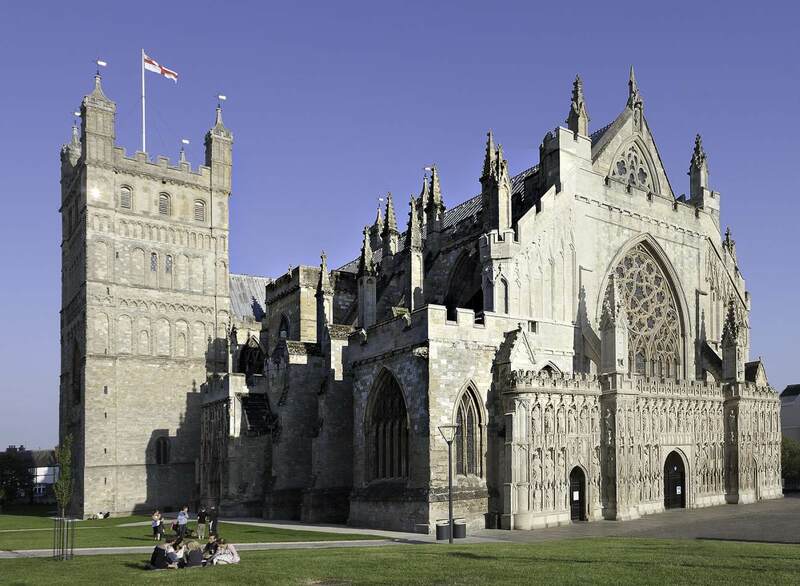 Building commenced in 1088 and continued in several phases throughout the medieval period. It was reputedly the tallest building in the world for 238 years (1311–1549). 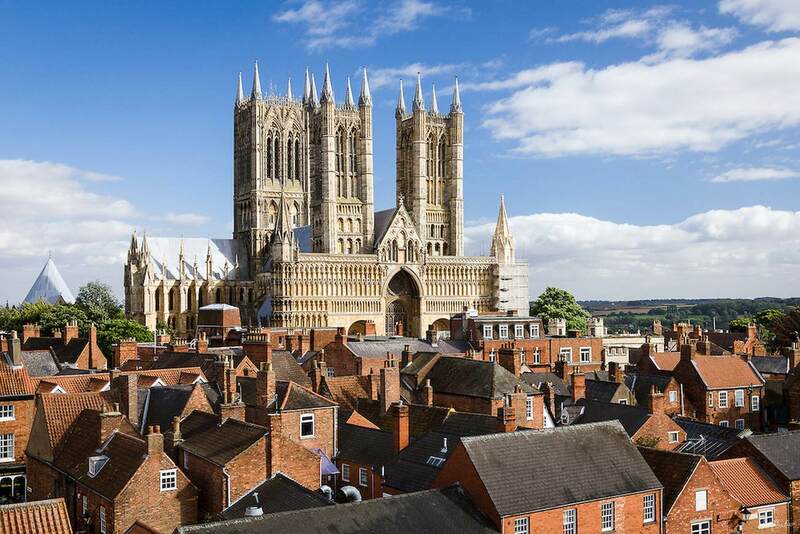 The picture shows Lincoln Cathedral as seen from the Castle Hill in Lincoln. The central spire collapsed in 1549 and was not rebuilt. The picture shows the nave of the Cathedral. 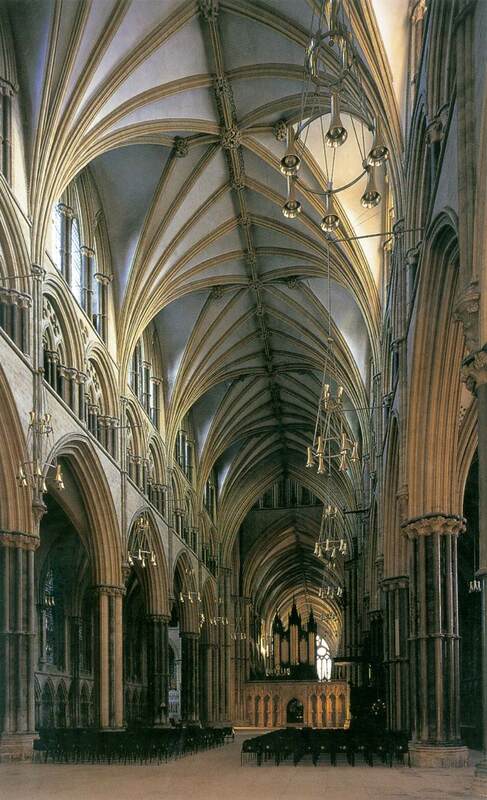 English Gothic architects consistently favored greater complexity. At Lincoln seven vault-ribs spring from one point instead of three, as was normal in France. 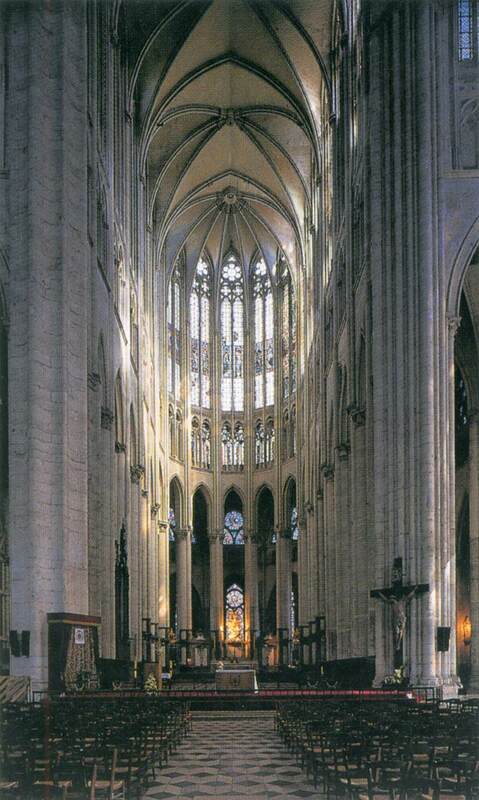 The picture shows the nave of the Cathedral. 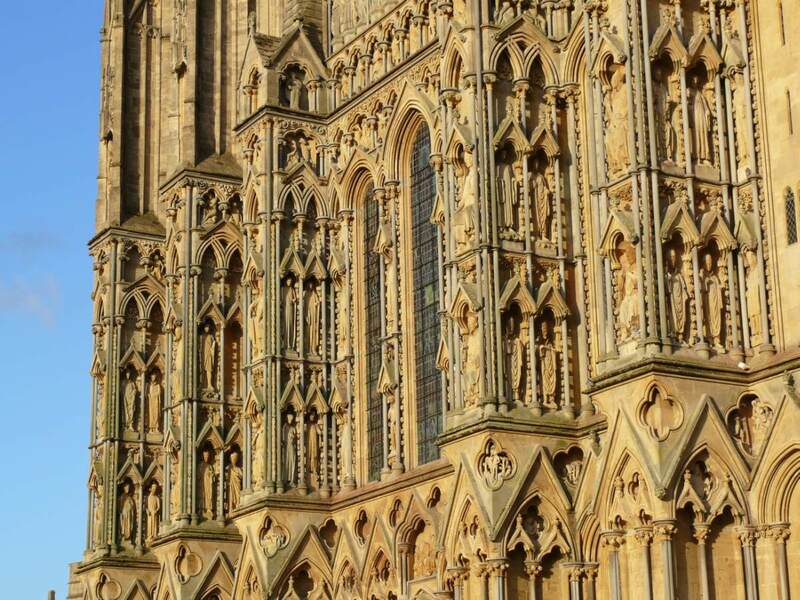 English Gothic architects consistently favored greater complexity. 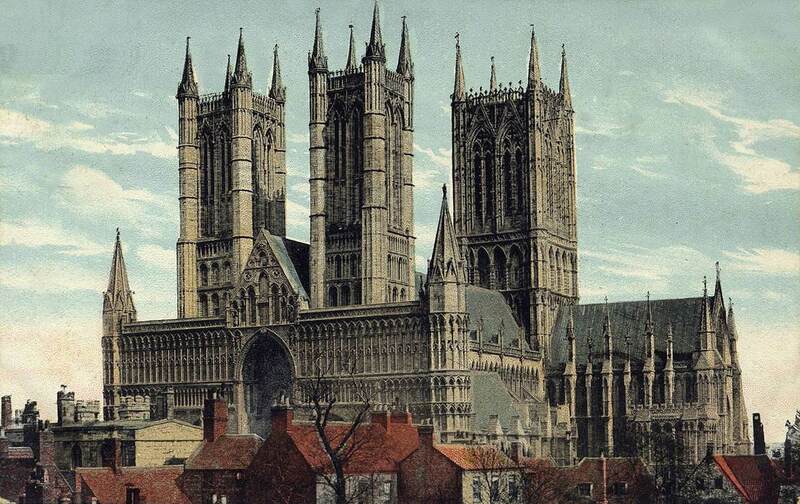 The foundation stones of the cathedral were laid on 28th April 1220. The first part to be completed was the three eastern chapels named for St Stephen, Trinity, and St Peter. 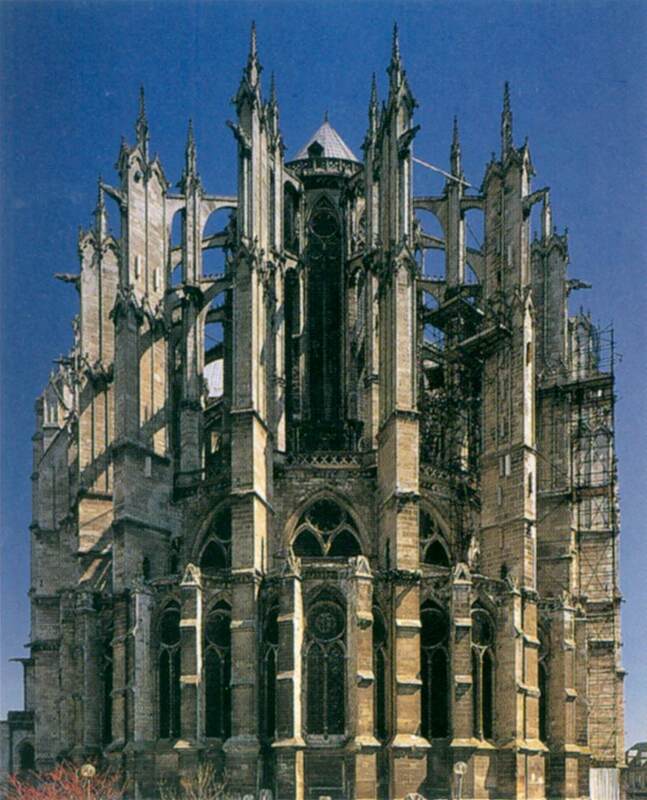 The main body of the cathedral was finished by the consecration on 29 September 1258. But the whole project also included the west front, the cloisters, the chapter house, and the (now demolished) detached bell tower. All of these were probably completed by 1266. 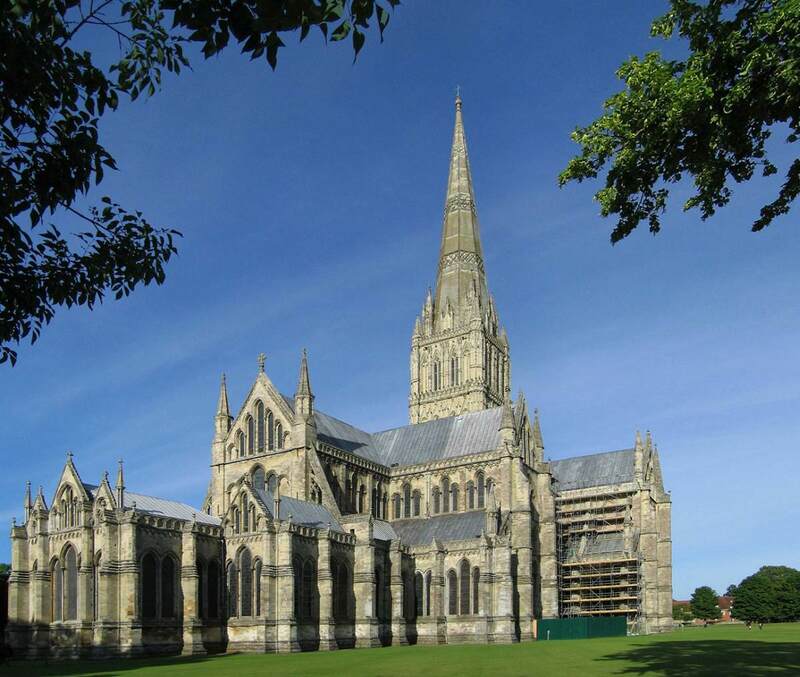 The cathedral has the tallest church spire in the United Kingdom (123m). 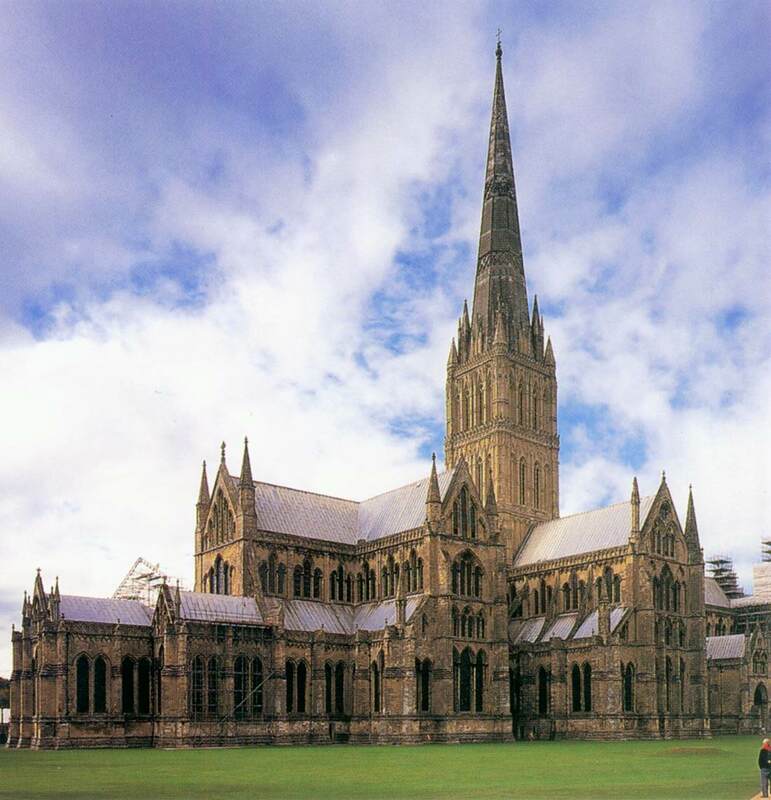 The plan of Salisbury Cathedral is characteristically expansive, in contrast to the compact outline of a French Gothic cathedral. 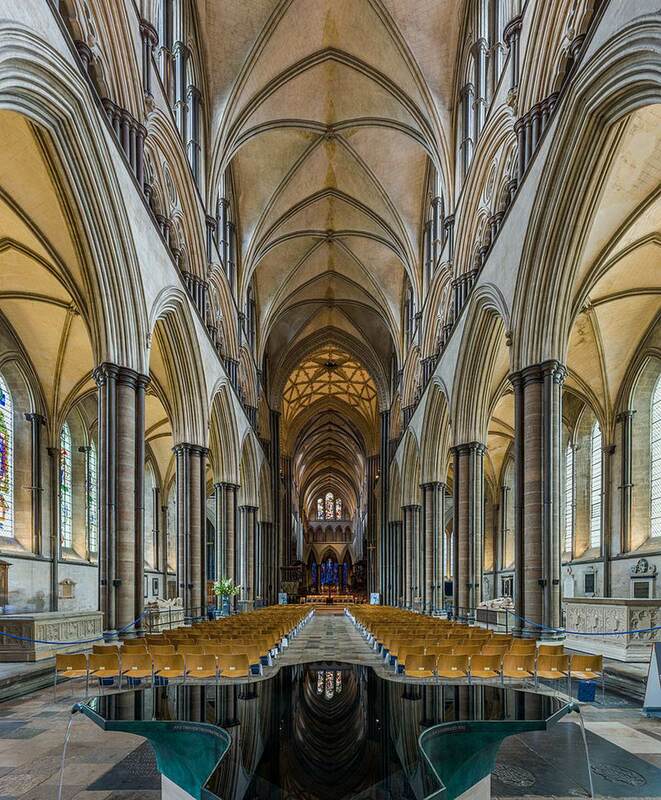 The picture shows the nave of Salisbury Cathedral in Wiltshire, England, looking east from the font. 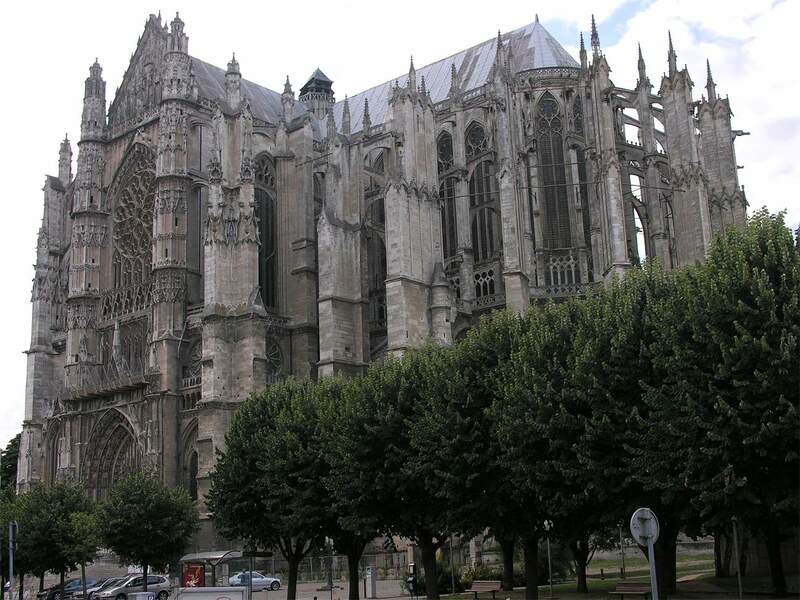 The architecture of the cathedral presents a harmonious whole which is entirely Gothic and mostly in a single style, the Early English Gothic of the late 12th and early 13th centuries. 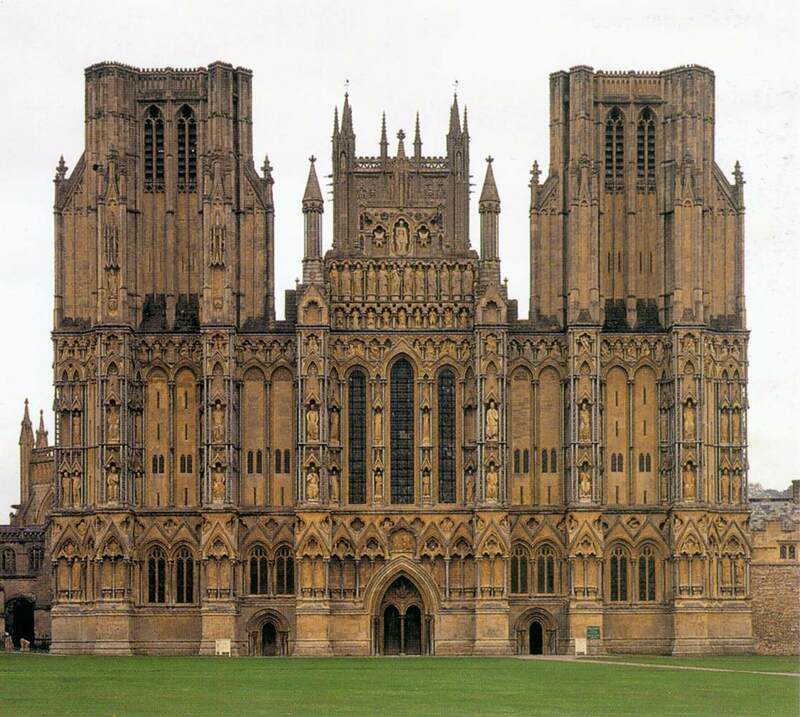 The picture shows the west front (30m high, 45m wide) of the Wells Cathedral. It is wider than the nave behind it, it is a screen for sculpture, and the single entrance portal is quite insignificant. The exterior has an Early English façade displaying more than three hundred sculpted figures. Originally all these façades would have been brightly colored, the figures painted naturalistically and the background in vivid reds and blues. 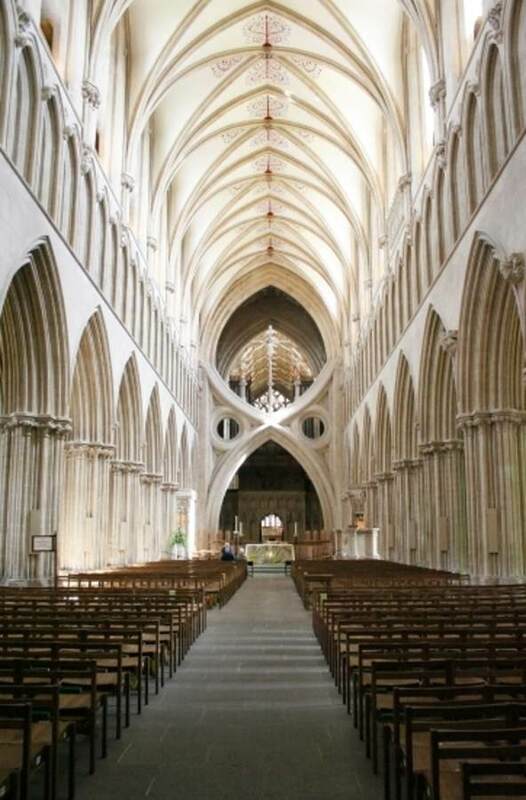 The picture shows the Gothic nave looking east, with the famous scissor arches added in 1338. 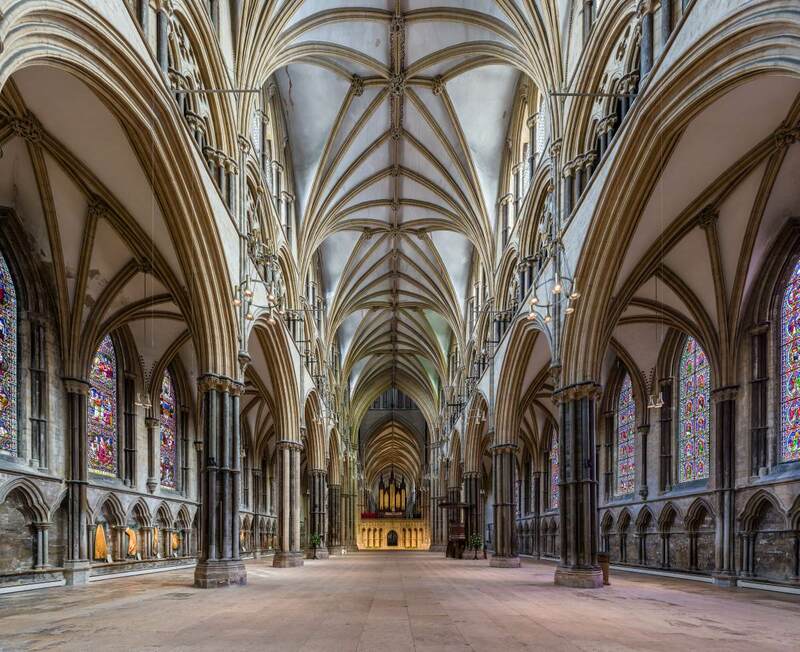 The present building was complete by about 1400, and has several notable features, including an early set of misericords, an astronomical clock and the longest uninterrupted vaulted ceiling in England.